Transplanting daffodils before they bloom! It worked! So, we will need to pave around the back of the house in order to reduce moisture in the crawlspace. It is hard to see from this pic (taken this summer), but there is a little garden area up near the siding of the back of the house. 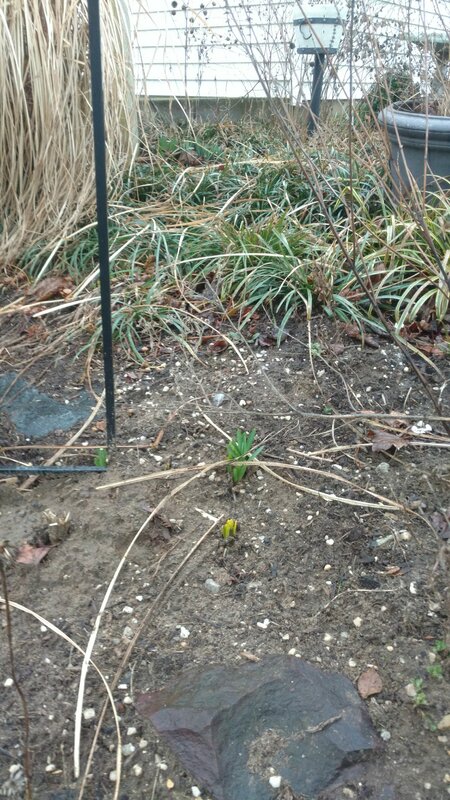 But, as I discovered, daffodils are popping up! 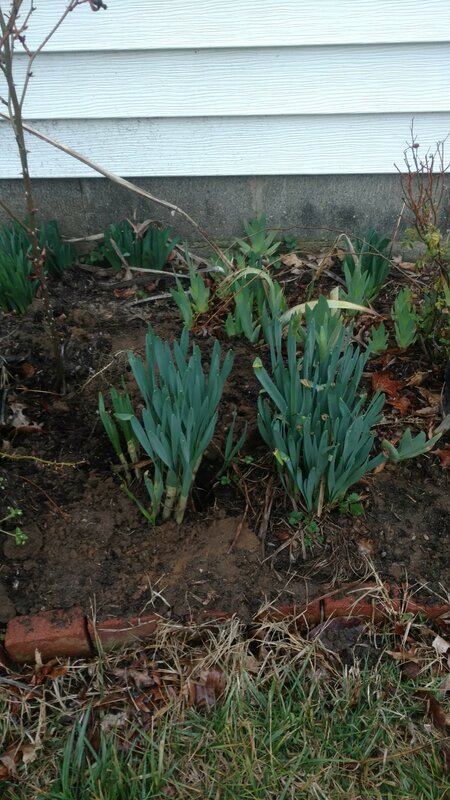 A few days ago, I dug up the daffodils before they were going to be destroyed by the paver and replanted them. Most of what I read on-line suggested that wait until after blooming before transplanting. Since the paver could come any day, I wanted to transplant sooner than later! Thankfully, they are still happy a few days later! 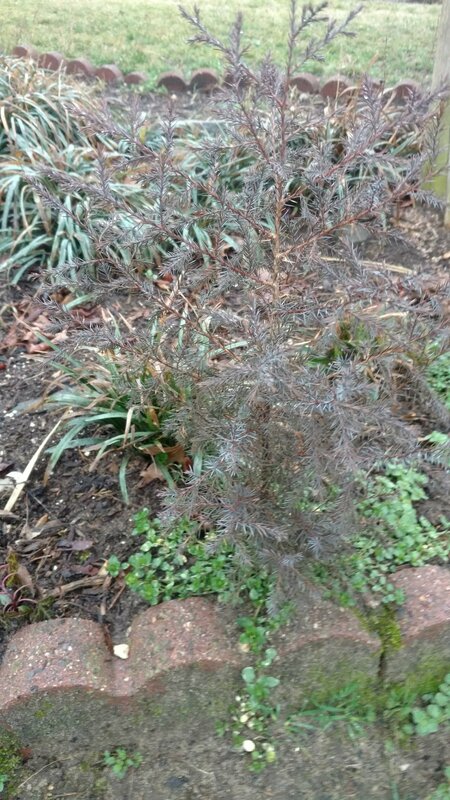 This little pine-thing has turned brown. I have no idea what he is… but, a few months ago, he was green…. Will have to investigate!